The last month, wrapped around the final international break of 2018, was a stop-start four weeks for Derby, with performances fluctuating between scintillating and infuriating. A second-half blitz swept aside in-form Birmingham, but just a week later city neighbours Aston Villa punished a Rams side who were sloppy in possession, turning us over at home with ruthless efficiency. 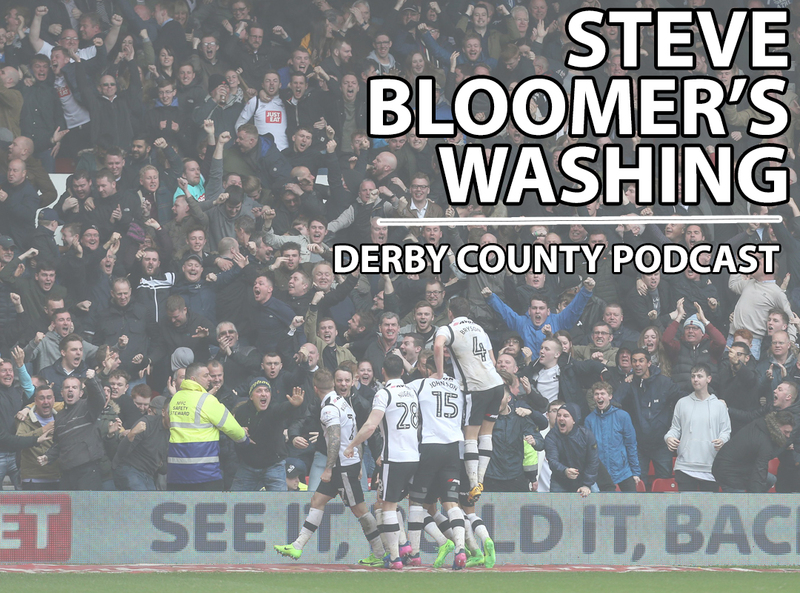 Derby returned from a two-week hiatus with an ugly away win over Sheffield Wednesday that will have done wonders for belief. Playing fast, fluid football is all well and good, but in the relentless grind of the Championship a win without playing well is always the sign of a competitive team. However, days after winning ugly, the tables turned again during the A50 reunion with former manager Gary Rowett. A sub-par performance – where Derby failed to pick up at least a point having played against ten men for an hour – finished November with a bitter taste in a game fans were desperate to win. Two more goals for Jack Marriott this month, now six in nine Championship games – an excellent return after stepping up from League One. The ex-Peterborough man could not be more different to Derby’s last two prolific strikers. He doesn’t hold the ball up with his back to goal like Chris Martin, nor drop off into pockets of space like Matej Vydra. Marriott’s lightning pace though, off the shoulder of defenders, creates space between the lines for Mount, Wilson and others, and he’s the hardest-working forward we’ve had in years. Marriott’s ‘fox in the box’ instincts also compliment Derby’s overlapping full-backs and their dangerous whipped crosses, meaning the Rams have plenty of variety in their attacking play. Ticking over: Jack Marriott celebrates November goals against Sheffield Wednesday and Birmingham City. Derby’s three clean sheets in 19 is the lowest return of any side in the Championship top half. Scott Carson remains by far our best keeper, but he’s definitely going through a rough patch. Poor distribution and lack of authority in the box are causing uncertainty, and lapses in concentration at the back meant the tide of goals conceded didn’t stop in November. Do we have the right formula at centre half? Do we even have other options? Tomori and Keogh may be the ball-playing defenders for Lampard’s possession-based ethos, but the return of Curtis Davies seemed a logical switch at Stoke. Rough patch: Scott Carson wasn’t in the best of form last month. Minutes into his return, though, his own injury woes continued with an Achilles problem which will keep him out well beyond Christmas. It’s not all doom and gloom – Derby’s next two opponents Swansea and Wigan aren’t exactly full of goals themselves. Surely another clean sheet is just around the corner. Despite 73% possession at the bet365 Stadium, Derby couldn’t break down a resolute Stoke, who did exactly to us what we did to others last season. All smiles: Harry Wilson celebrates his latest stunning striker v Stoke… before it all went a bit wrong. Now you think about it, the defeat at Stoke had Rowett’s fingerprints all over it – and we should’ve seen it coming. – That sublime piece of skill that saw Tom Huddlestone flick the ball over his shoulder before striding into the final third and launching an arrowed strike towards goal, leaving fans purring. Shame Wednesday’s keeper tipped it over, the spoil sport. – Okay, I didn’t enjoy the referee’s poor performance in the Villa game, but the near-universal agreement on social media that we had a pretty rubbish ref made for some very amusing tweets. I’ll controversially overlook Harry Wilson’s brilliant free-kick against Stoke as we went on to lose the game. I’m also getting a bit bored of seeing him bang in those long-rangers (Please note: sarcasm). Instead, I’ll go for Jack Marriott’s goal in the 3-1 win over Birmingham. A perfectly-timed run to beat the Blues offside trap, and a drilled finish from a ridiculous angle which squirmed under daddy’s boy former Rams stopper Lee Camp to seal the points.